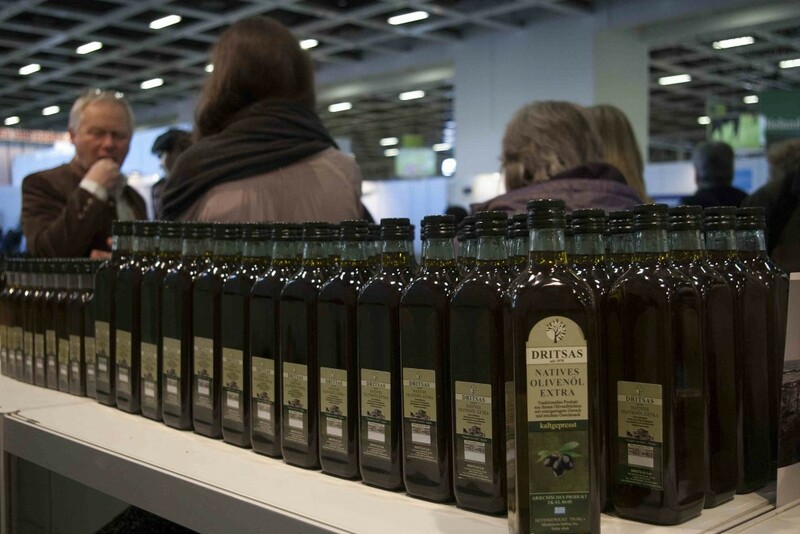 Cold temperatures but a ‘warm’ reception for DRITSAS olive oil at Green Week Berlin 2014! When the temperature in Berlin drops from -5 to -13 you are wondering where all those people are going. 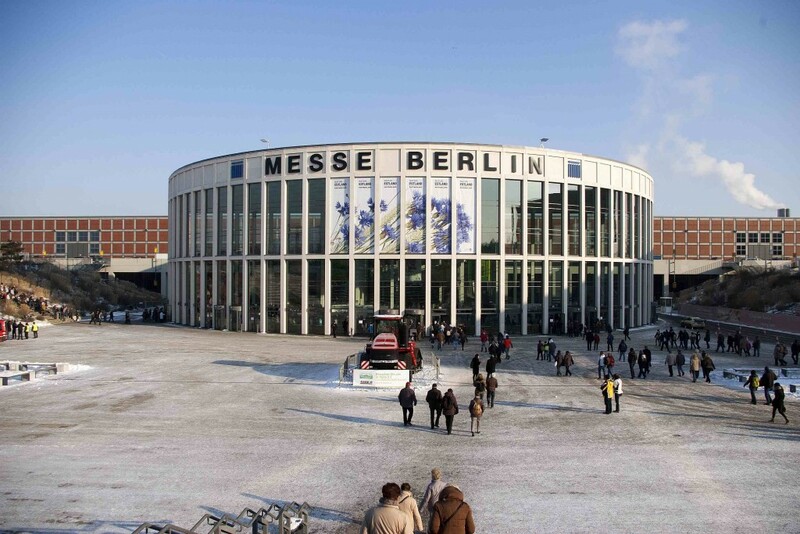 They are the thousands who visit the largest food show on earth, Green Week Berlin with about 1500 exhibitors! 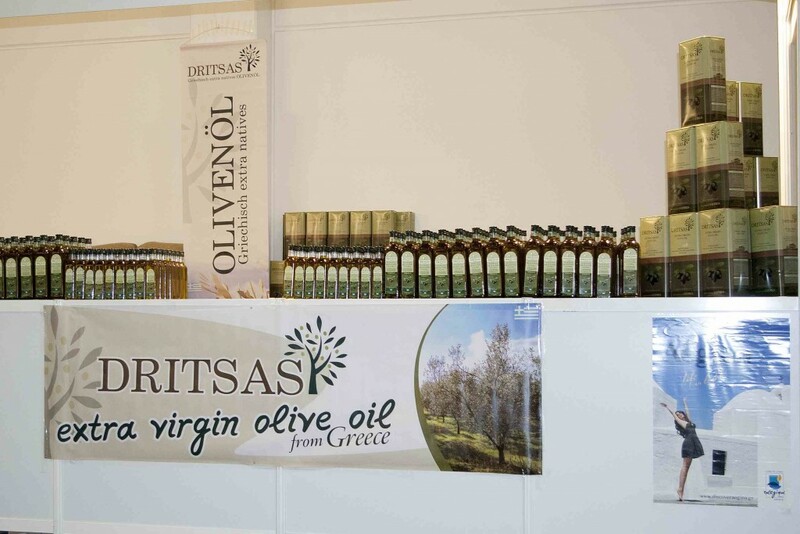 Premium extra-virgin olive oil DRITSAS could not miss such a large ‘festival’ devoted to foods from around the world. 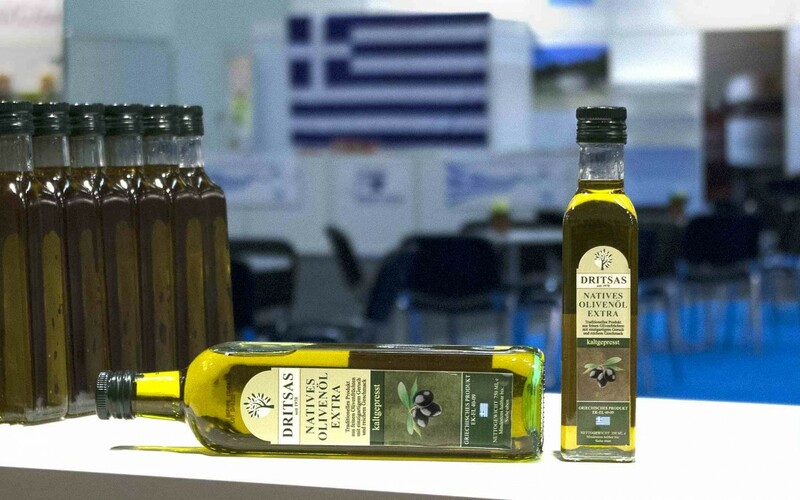 Other Greek companies also participated with products of exceptional quality and it was a real joy to come close once again with the German public, who appreciate high quality Greek food products, such as DRITSAS olive oil. 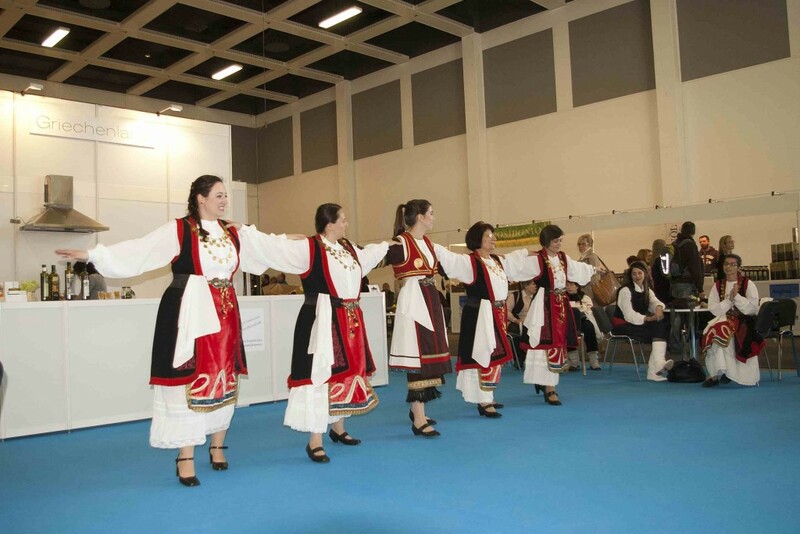 The activities at the Greek exhibitors’ area, such as Greek dancing and live music where really popular with German visitors – after all, as we said already, Green Week is not just a trade show but a great festival! 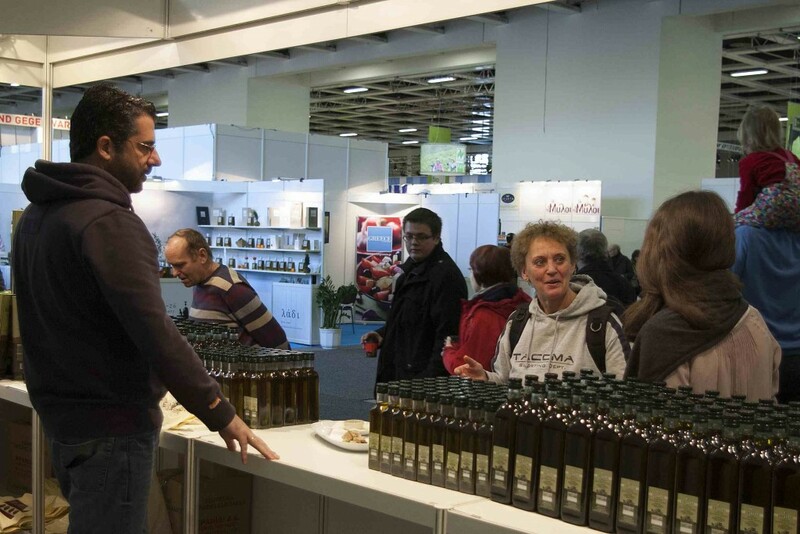 What we know already about our olive oil was confirmed by the visitors of the exhibition. They could taste its velvet flavour, perceive its high quality and appreciate its unique character compared to other olive oils! Olive oil tasting was very popular with the exhibition visitors! Thousands of people came by our kiosk and we had the pleasure to talk to many of them, to offer them our olive oil for tasting and of course to let them have the necessary… supplies for home! Informing visitors about our olive oil. Although it was very cold in Berlin, the German public welcomed us very ‘warmly’ and we cannot wait until Green Week in 2015! Surely, our friends cannot wait either. That is why DRITSAS premium olive oil has already been placed at supermarket COMMATAS, the largest supermarket with Greek products in Berlin. 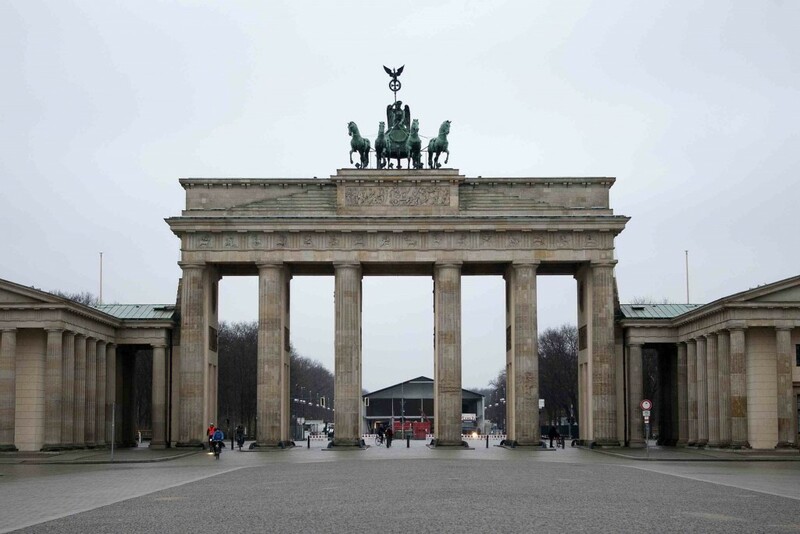 Until Green Week Berlin in 2015… auf Wiedersehen!